The hilly landscape of Bavaria will be on our way to the largest lake of Germany – the Chiemsee. At the end of a short boat ride we reach the “Herreninsel” where the castle is located. We will reach the island by the help of a short boat ride. Either a walk of around 20 minutes or a nice coach ride will be necessary to arrive at the castle. 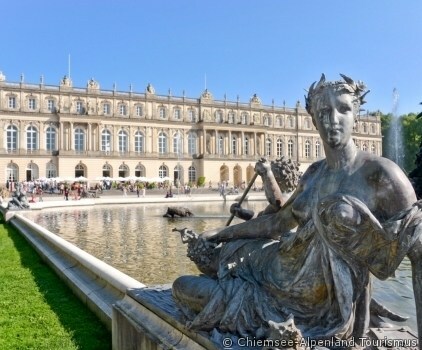 King Ludwig from Bavaria, the cousin of empress Elisabeth-Sissi, has given the order to construct there a small copy of the castle Versailles close to Paris. During the visit through the private rooms, you will remark the equivalence of the nobless french castle.